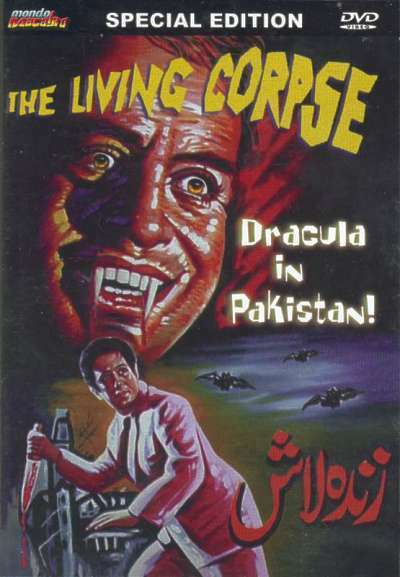 Zinda Laash also known as Dracula in Pakistan and The Living Corpse is the first Science Fiction movie from Pakistan having been produced in 1967. The premise of the story is that a scientist Professor Tabini is experimenting on an substance what will give him immortality. However when he injects the substance he dies. Believing him to be dead his assistant take him to the basement but he reanimates and goes on a rampage as a vampire like creature. Interestingly the movie has an underlying moral theme: the actions of man when tampering with God’s creation will lead to destruction but the grace of God can still save us if we call out to Him.